Edwards Air Force Base contracted Tetra Tech to survey ephemeral ponds on the Base to characterize the occurrence and distribution of branchiopod crustaceans (Orders: Anostraca, Notostraca, and Conchostraca) and the presence of other dominant aquatic invertebrates. In this study, Branchinecta gigas, B. mackini and B. lindahli, L. lemmoni, and unidentified clam shrimp, Cyzicus sp. were observed and the presence of one additional branchiopod, Branchinecta coloradensis, was established for Edwards AFB. 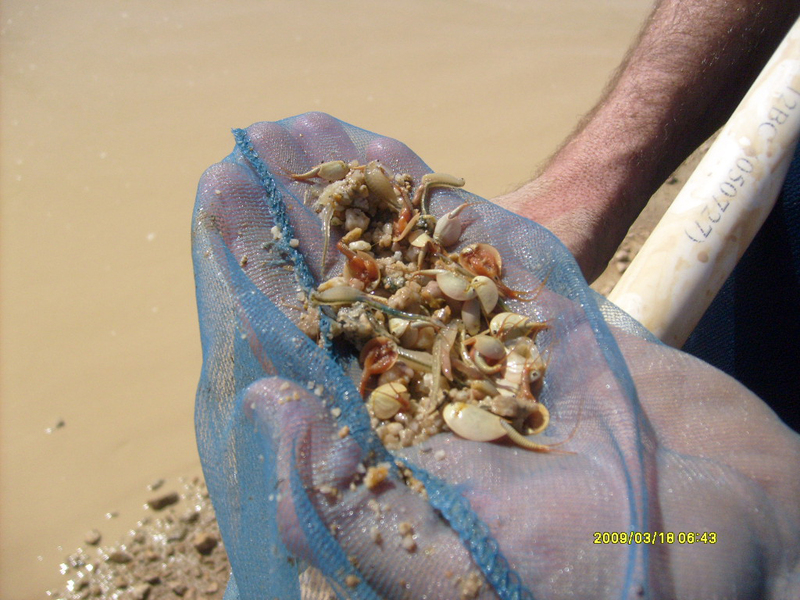 While the factors affecting the distribution of these branchiopod species on the Base could not be determined, their distributions are likely attributed to a complex combination of factors, including the type and amount of dissolved solids, as a result of species-specific ion regulatory capabilities (Gonzalez et al. 1996).